Following on from his bestselling cookbook The Guilt-Free Gourmet, chef Jordan Bourke is back in the kitchen dishing up more of his signature indulgent yet ‘guilt free’ food. Forget about fasting and denial, The Natural Food Kitchen is a new approach to food and cooking, proving that wholesome food does not have to be bland and unexciting. 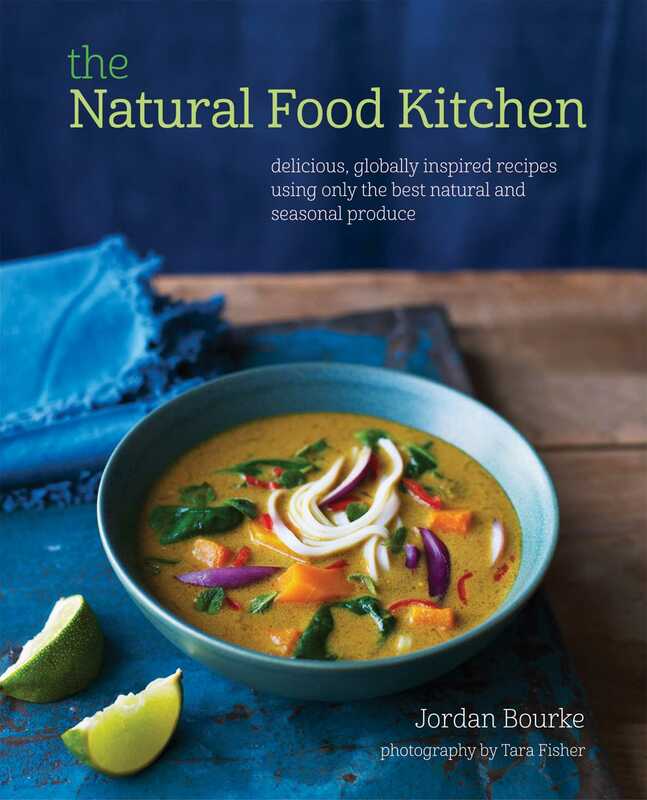 Showcasing fresh and wholefood ingredients, Jordan’s recipes offer vibrant, seasonal dishes that are made using naturally healthy alternatives to refined flours, fats and sugar cane, so there is no missing out. The emphasis is on healthy everyday food for everyday people, using wholesome alternatives to refined ingredients, rather than ruling out food groups entirely. The result is a mouth-watering collection of classical and globally-inspired recipes with an innovative healthy twist. These everyday dishes will have a broad appeal, from parents looking for new and healthy recipes to eat with their family and friends, to the modern foodie, who knows good food, travels far and wide and places just as much importance on their health and well being, as they do on taste and instant gratification. From abundant salads, using only the best seasonal produce, to sustainably caught fish and meat dishes using exotic herbs and spices inspired by Jordan’s travels, and indulgent desserts that no one would ever believe are nutritious, this cookbook aims to satisfy the ever-increasing demand for food that is not just beautiful to look at and delicious to eat, but good for you as well.